When you need to maintain a swimming pool property of any size, you will want to arrange for reliable pool cleaning services. This means looking around your service area for pool cleaning companies that you can trust. Every pool will require different forms of maintenance, and the key factor is the particular time of year, especially because this dictates when the air temperature and humidity fluctuate. We hope that you will choose Dubai Pool Care because you want experts who will pay attention to the details of your facility or private residence. We make decisions about chemicals, cleaning, and maintenance that will ensure your pool's optimal water chemistry throughout the year. ​There are other Dubai swimming pool maintenance companies to choose from such as "Compassdubai" and "Aquapools," but if you're looking for a company who not only provide you the services you're looking for but also looks after your pool like it is one of their own, well then you have come to right place. ​​At times throughout the year, pool owners may find that the interior and exterior surfaces of the pool will not meet their standards, this is because of problems such as algal buildup, bugs, and/or the aging of the pool's finish. These problems may seem costly, but they are fixable. When you want your pool to look like new, it may be necessary to drain it and do refinishing work to the surface or as simple as doing an acid wash, which will remove most problematic buildups that can affect its appearance. This process just requires some time to complete before the pool's users can safely go swimming again. When you want to remove all of the pool's water, this could be a seasonal requirement or because our staff will perform other maintenance and repair tasks. We are able to provide this service at your convenience, ensuring that your users will be affected as little as possible. Our company are highly trained in pool draining to assure you a safe and hygienic pool for you and your family to swim in. ​The pool's filter and removal system, which includes drains and a pump system that cycles water back into the pool, also requires regular maintenance. We specialize in algae removal and green floor cleaning in addition to the traditional chemical balancing that is performed on a routine basis. When you hire our service, we will establish a schedule for your filter to be cleaned out or replaced. The tile may also be cleaned in special situations when the wear-and-tear on the pool is excessive and on a regular basis. What is your recommendation in cooling the pool during the hot months? ​Here in Dubai the weather can get really hot many months of the year. And it is during those months that you must make sure the pool water stays in the right temperature, otherwise it could damage the pool mechanics such as the chemicals and balancing, and it can also be harmful for the body. Swimming pools usually come with an aerator installed at the deck of the pool. It looks like a spray nozzle and its main purpose is to cool down the pool. If yours doesn’t have one or if you are looking for something else, other features like waterfalls can be turned on as it will cool the pool water as well. Another expensive but effective solution is to add a swimming pool heat pump for your pool. You may think it is just water heater but it normally comes with water cooler setting in which you can adjust and activate at the right time of the year. ​Is it necessary to clean the filters of my pool? Yes. Over time your pool filters will accumulate a lot of dirt, especially if your pool is in an open field versus an indoor pool. So it does depend on certain circumstances when deciding how often you should clean your pool. But the point is that it is important! How to know when to clean my filters? ​Most swimming pools come with a pressure gauge installed around the filtering machine. Take a note of the pressure when you first clean your filters. Whenever the number rises by 4 kilograms, that means that it is time to clean it. You must check your pressure gauge at least once a month depending on the season. During the summer you must check it more often. What certificates do you hold that relates to your work? ​Our company holds a CPO license that stands for Certified Pool Operator which was obtained through the CPO’s certification program recognized by NSPF (Nation Swimming Pool Foundation). All of our employees had to go through the same certification training specializing in maintaining safe water balance and chemistry levels along with several other specialties. any advice when looking for a swimming pool contractor/company in dubai? Ask if they hold CPO certification? Look into their website, sometimes you can tell if they are a professional company or not depending on the information of their website. Next, you want to call them up. Ask them about your pool. If they are happy to answer your questions regarding your pool then that is a good sign. Many Pool Maintenance companies offer a free checkup to come over and evaluate on their own, as it is sometimes difficult to estimate your pool condition over the phone. Are they always busy? Not a good sign. Are the willing to take emergency calls during the weekend? Do they have a service slip that describes their weekly or monthly pool maintenance schedule if you are to hire one? Next is also knowledge. It is probably better to hire a pool specialist rather than someone that specializes in many different handy skills. And last is comfort. Are you confident that the Pool Technicians will show up when there is a problem or an emergency? I need pool cleaning/maintenance. What is the process like? First, you would have to call us. We will try to assess your pools condition and give you an estimate cost on the spot. 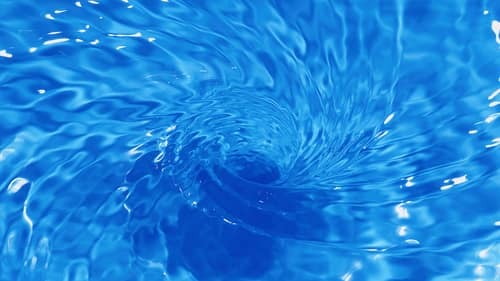 If that is not possible, then we would have to schedule a visit to your location for a free analysis of your pools condition such as pool equipment, water chemistry, water leaks. We make sure everything is fine and if there is something that comes up, we will identify and point it out to you with a quote right then. We will try to get a rough estimate of your pools history and get as much data as we can to provide you with our best recommendation. Any other questions? Give us a call.